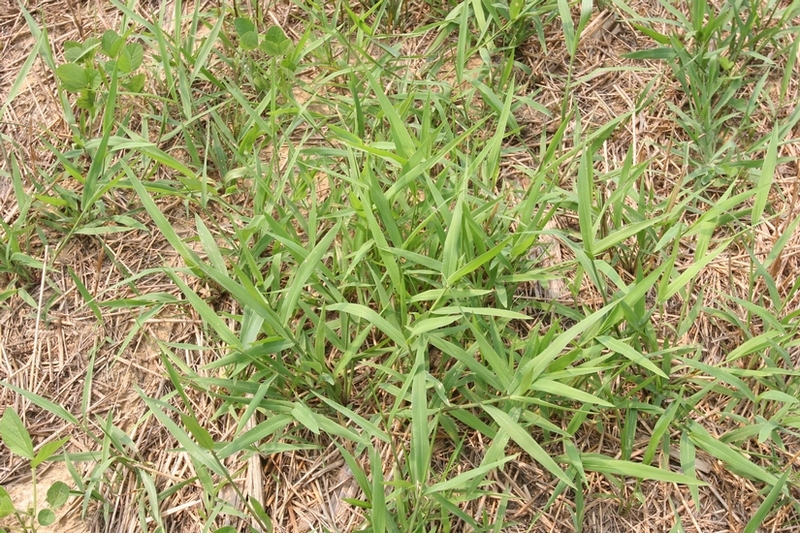 A spreading summer annual that commonly is found growing along the ground but with tips ascending (decumbent growth habit). 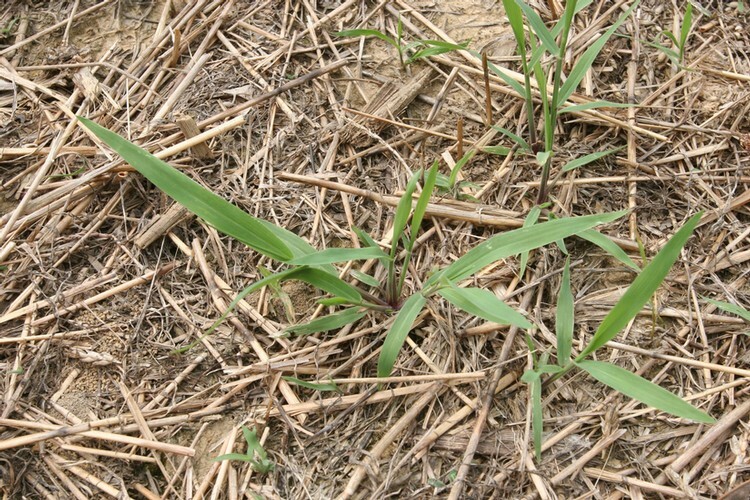 Broadleaf signalgrass may reach as much as 3 feet in height and is found most commonly as a weed of agronomic crops of the southeastern United States. Leaf sheaths are often maroon-tinged and hairy throughout. Leaf blades are without hairs, except for those that occur on the margins. 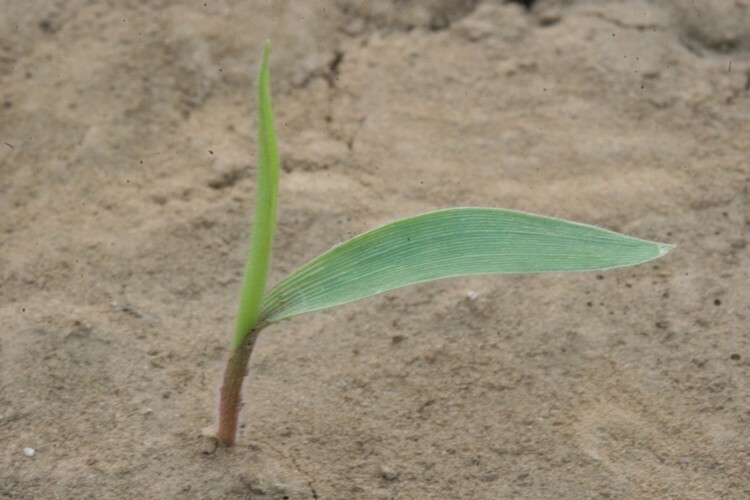 Leaf blades may also be maroon-tinged, with a fringed membranous ligule. 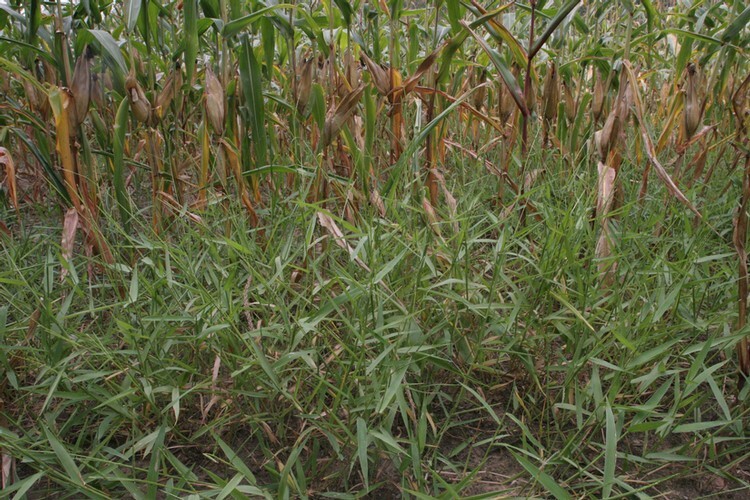 Leaf blades are overall short and wide in appearance, approximately 1 1/2 to 6 inches long and 6-15 mm wide. 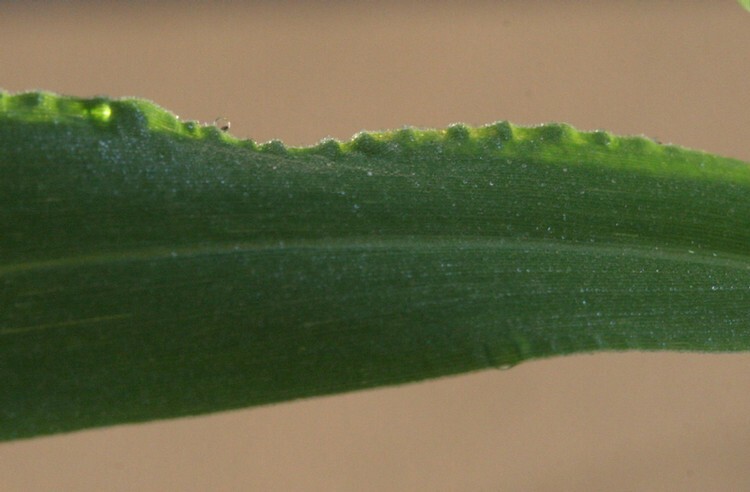 Leaf blades are widest near the base and taper to the apex. 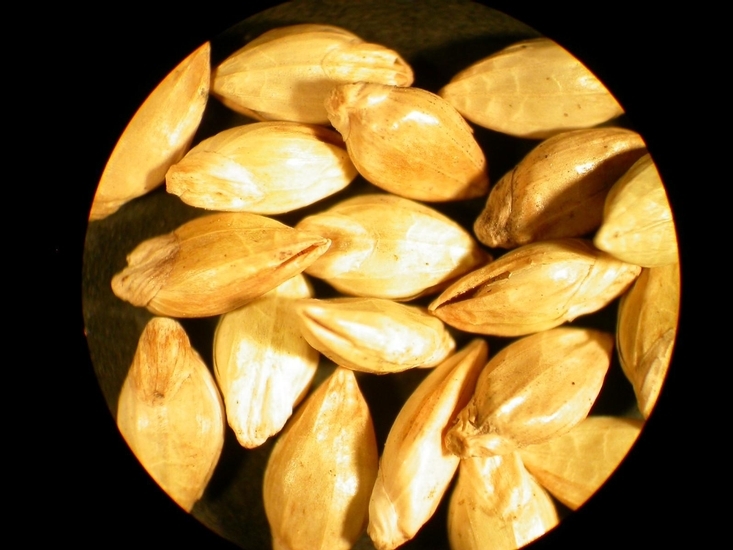 Leaves are rolled in the bud and without hairs on either leaf surface except on margins and in the collar region. 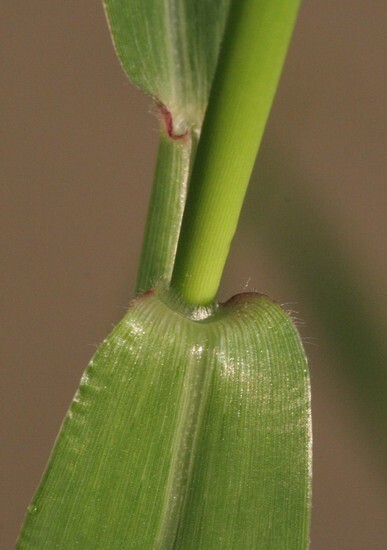 The ligule is a narrow membrane fringed with hairs, 1/2 to 1 mm long. Leaf sheaths are hairy. Prostrate, branching and bent at the nodes, to approximately 3 ft tall. 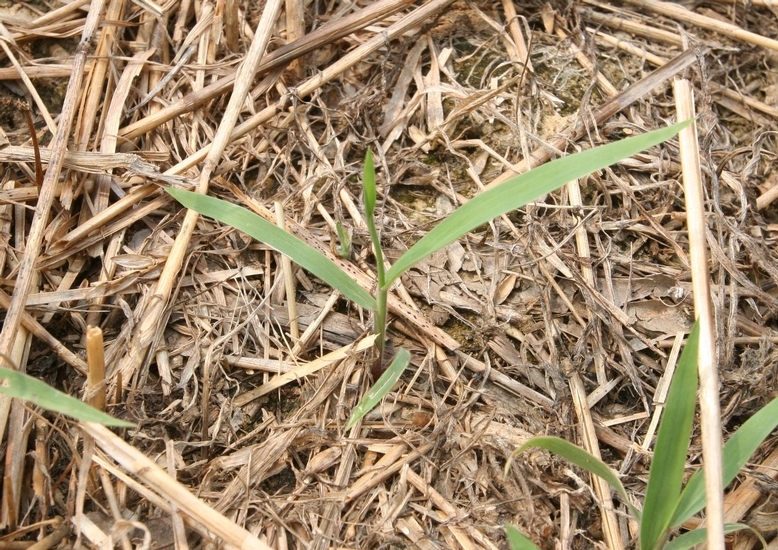 These plants often root at the lower stem nodes, and therefore are most commonly seen growing along the ground with some tips ascending (decumbent). Roots are fibrous and capable of rooting at the lower stem nodes. 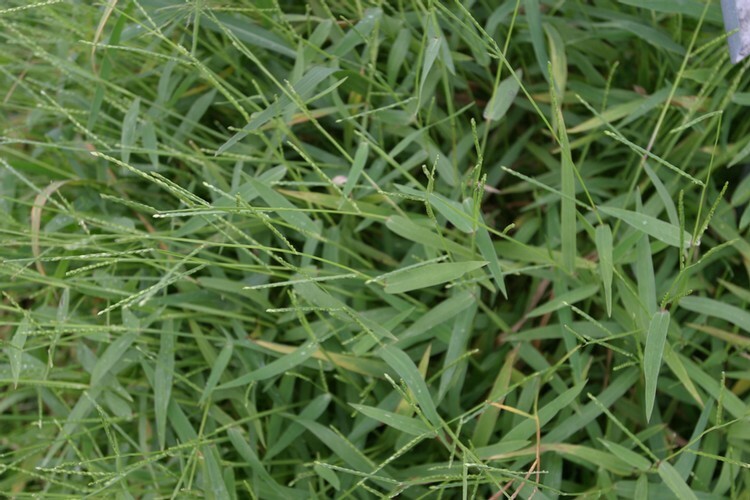 The relatively broad and short leaves of this grass weed make it easily distinguishable from other grasses. 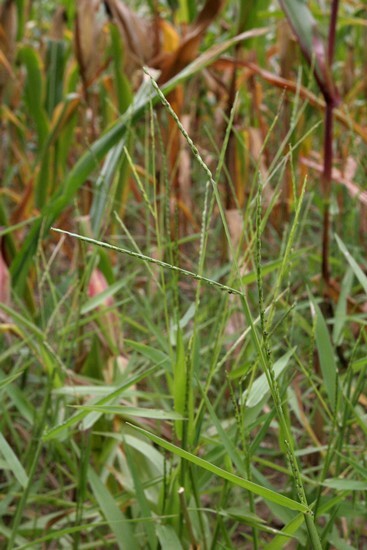 Additionally, the lack of hairs on the leaf blades, rooting stem nodes, and flattened spikelets help to identify broadleaf signalgrass from most other grasses found in similar environments. 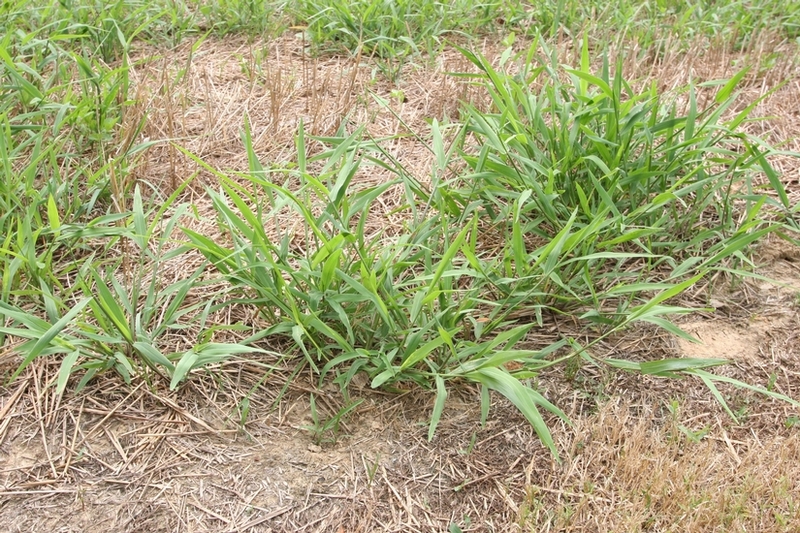 Broadleaf signalgrass is similar to Texas panicum (Panicum texanum) in growth habit and appearance. 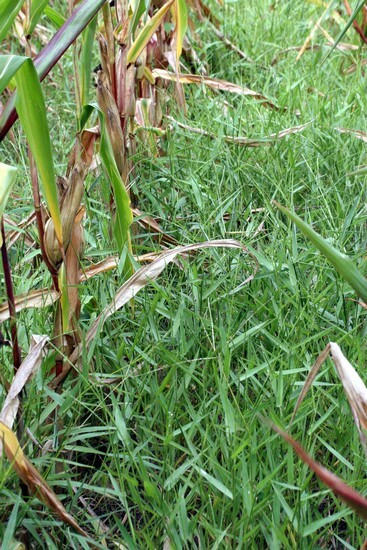 However, the leaves of broadleaf signalgrass are not covered with short, soft hairs like those of Texas panicum.